Searching for the right college for your soon to be graduating student? Consider this…. Congratulations on having a student who is ready for college! You are one of the lucky few – only 22% of high school students with ADHD go on to attend college. For most parents of students with ADHD it’s been a long journey getting here and you probably don’t feel out of the woods yet. Are you looking for a supportive college environment for a student with ADHD? Are you worried what will happen when your child leaves the structure and accountability of high school and home? Perhaps you’re concerned they’ll be swept up by the freewheeling life of college – and you know that having access to a tutoring center or getting extended time on their tests won’t be enough to help your student succeed on his or her own. Read on! You aren’t alone. Every parent faces the joys and worries that come with pushing their young adult child out of the nest. But for the parent of a student with ADHD, the fear lies in knowing their child is totally in charge of making all of their own decisions in college – and is sometimes a recipe for disaster. In fact, research has shown that as few as 5% of ADHD students who enter college end up graduating. The Edge Foundation knows how to help ADHD students be successful and we have facilitated a two year scientific study to prove* that our model works. 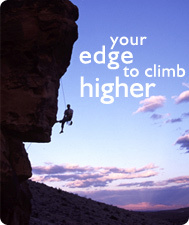 Find out today how Edge Foundation can help your son or daughter succeed in college. If your student has weaknesses in at least one of these areas, they may be at risk to struggle with their ADHD in college. ADHD students don’t have to be “at risk” students. An Edge Coach can help teach the very skills your student needs to be successful in school. Stick with things when the going gets rough. 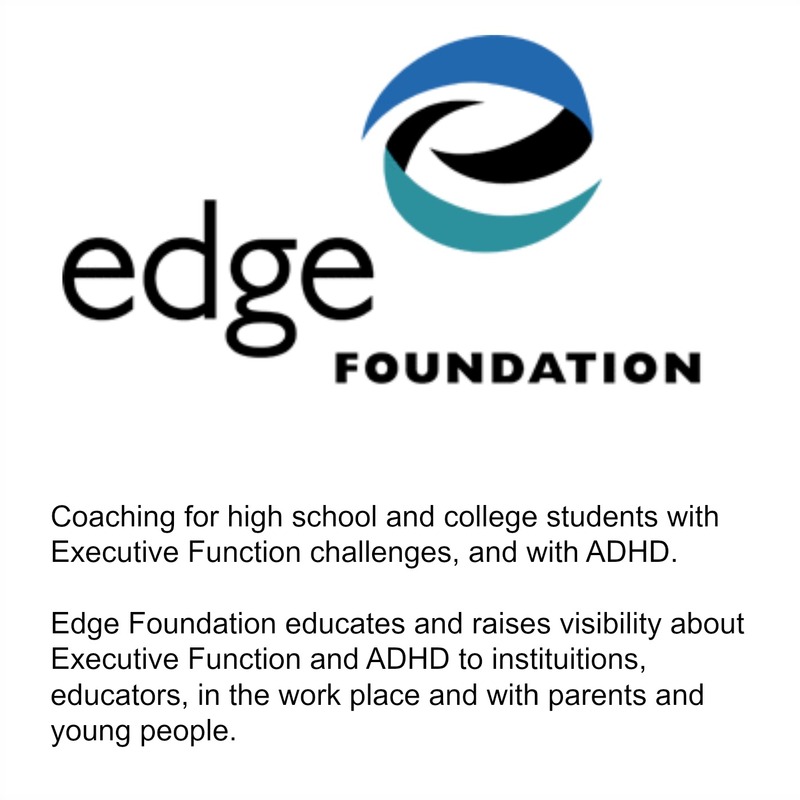 Call us (1-888-718-8886) or sign up today to find out more about how Edge Foundation’s proven model can help your ADHD student succeed in school. Students with ADHD shouldn’t have to fail before they get support. Students and their families should think about getting started with a coach even before college begins. Many students find they have a first rough term. But for students with ADHD, it is surprisingly easy to fall behind and poor, or even failing, first-term grades can be a devastating blow to self-esteem and confidence. Or perhaps your college student has already experienced these challenges. It’s not too late to have an Edge coach help them get back on track. Our recently completed research* shows students who receive coaching have substantial gains in their overall approaches to learning — in other words, they become more effective students! Would you like to learn more about the techniques the research proves helps students succeed? There’s no obligation if you call us (1-888-718-8886) or sign up today to find out more about how ADHD coaching can make the difference between success and failure in school. If you still feel like you want to look into schools that are focused towards learning disabilities and ADHD, here are two references that can help you choose a school that will fit your needs. But remember, very few colleges and universities will offer personal coaching. The skills your student needs won’t be taught in the tutoring center or helped with extended time taking tests. Edge Foundation’s research study offers hope for students with ADHD because it definitively links coaching to improved Executive Functioning. And improved Executive Functioning means more success in school. ADHD students who participated in Edge coaching sessions demonstrated statistically significant, higher Executive Functioning than ADHD students who did not receive coaching. * Coaching has long been used by the corporate world to improve performance of CEOs and executives, but little study had been done until now on the impact this particular kind of intervention has on those living with ADHD. While medication can improve academic productivity (better note-taking, scores on quizzes and worksheets, and homework completion), medication alone is not associated with skills like better organization, time management, or the ability to apply knowledge, all of which are critical in a successful post secondary education. Coaching will! If you’re still on the fence about whether or not your student needs an Edge coach, today is the day to take the first step. If you need a little more convincing before you sign up, why not download our free guide to college success? Only 22% of high school students with ADHD go on to attend college. For most parents of students with ADHD it’s been a long journey getting here and you probably don’t feel out of the woods yet. Every parent faces the joys and worries that come with pushing their young adult child out of the nest. But for the parent of a student with ADHD, the fear lies in knowing their child is totally in charge of making all of their own decisions in college – and is sometimes a recipe for disaster. In fact, research has shown that as few as 5% of ADHD students who enter college end up graduating. The Edge Foundation knows how to help ADHD students be successful and we have facilitated a two year scientific study to prove* that our model works. 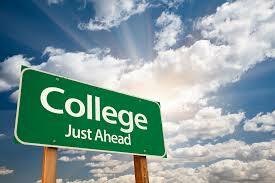 Find out today how Edge Foundation can help your son or daughter succeed in college. Students with ADHD are vulnerable because ADHD impacts the higher portion of the brain that regulates executive functioning. ADHD students usually have executive function deficits in attention, planning and organization, prioritization, impulse control, memory, time management, and higher-order conceptual thinking. If your student has weaknesses in at least one of these areas, they may be at risk to struggle with their ADHD in college. ADHD students don’t have to be “at risk” students. An Edge Coach can help teach the very skills your student needs to be successful in school. When your student works with an Edge Coach, the options of where to go to school broaden. You no longer have to find a school that caters to ADHD because your student can bring their support system with them! Students with ADHD shouldn’t have to fail before they get support. Students and their families should think about getting started with a coach even before college begins. Many students find they have a first rough term. But for students with ADHD, it is surprisingly easy to fall behind and poor, or even failing, first-term grades can be a devastating blow to self-esteem and confidence. Or perhaps your college student has already experienced these challenges. It’s not too late to have an Edge coach help them get back on track. Our recently completed research* shows students who receive coaching have substantial gains in their overall approaches to learning — in other words, they become more effective students! Would you like to learn more about the techniques the research proves helps students succeed? There’s no obligation if you call us (1-888-718-8886) or sign up today to find out more about how ADHD coaching can make the difference between success and failure in school. 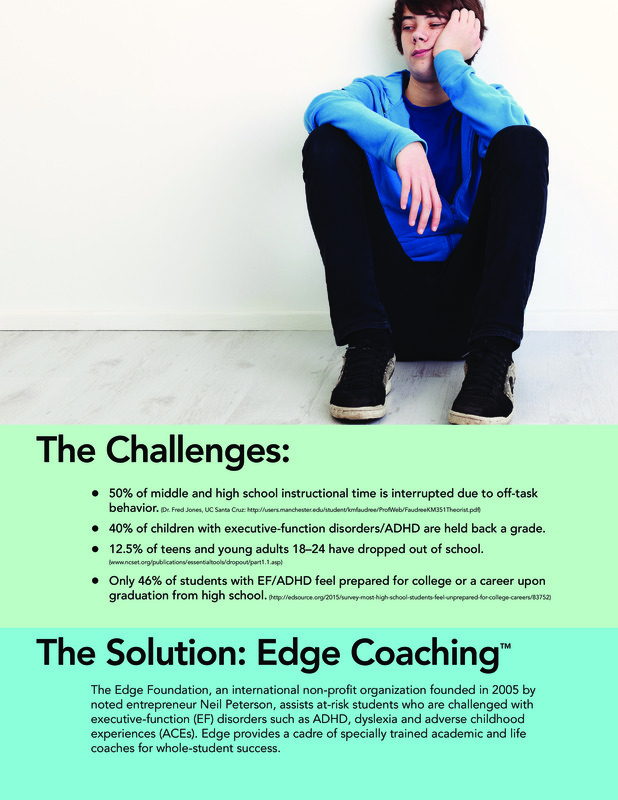 Edge Foundation’s research study offers hope for students with ADHD because it definitively links coaching to improved Executive Functioning. And improved Executive Functioning means more success in school. Coaching has long been used by the corporate world to improve performance of CEOs and executives, but little study had been done until now on the impact this particular kind of intervention has on those living with ADHD. While medication can improve academic productivity (better note-taking, scores on quizzes and worksheets, and homework completion), medication alone is not associated with skills like better organization, time management, or the ability to apply knowledge, all of which are critical in a successful post secondary education. Coaching will! If you’re still on the fence about whether or not your student needs an Edge coach, today is the day to take the first step. If you need a little more convincing before you sign up, why not download our free guide to college success? Is my ADHD student ready for college? I get myself up on time every day. I eat healthy meals daily. I manage my money well. I make good decisions about balancing time between fun, chores and schoolwork. I set up my own study schedules. I stay on top of my schoolwork without reminders. I organize ideas, write and edit my own papers. I can motivate myself to do projects and assignments that I don’t really enjoy. I know what my strengths and weaknesses are and can explain them to other people. I take my medication without being reminded. My room and backpack are organized. I seek out and find resources on my own when I need help figuring something out. I admit it when I don’t understand something. I am comfortable asking for help. If you feel like you want to look into schools that are focused towards learning disabilities and ADHD, here are two references that can help you choose a school that will fit your needs. But remember, very few colleges and universities will offer personal coaching. The skills your student needs won’t be taught in the tutoring center or helped with extended time taking tests.